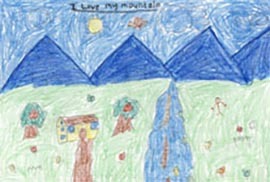 ICIMOD, in partnership with the Swiss Agency for Development and Cooperation (SDC) and the arts organisation, Kakhara, organised a painting competition on the theme, ‘Why We Love Our Mountains’ among school children aged 5-7 and 8-12 on 26 November 2011. 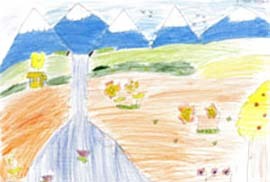 About 85 children from 24 schools in Kathmandu participated in event at the Valley View School. 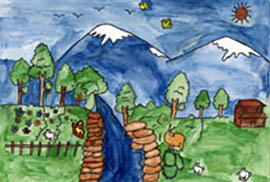 They were briefed on the importance of mountains by a resource person from ICIMOD, and fine artists and illustrators helped children work on their paintings. 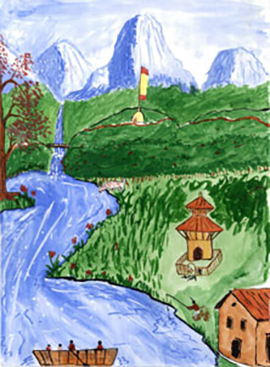 The painting competition was organised in the framework of the launch of the World Mountain Forum for Sustainable Development (WMF-for-SD) and was organised concurrently by partners across Venezuela, Ecuador and Peru in the Andes, and by ICIMOD/ APMN in Kathmandu, Nepal. 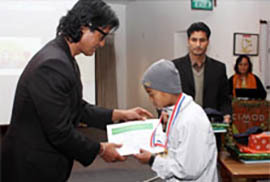 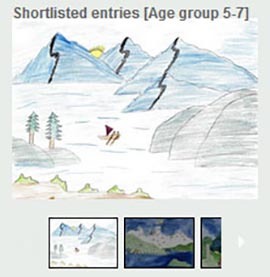 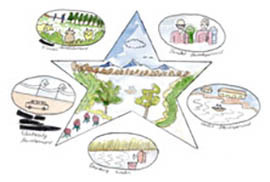 The three best entries in each age category were awarded prizes at a ceremony at ICIMOD to mark International Mountain Day on 11 December 2011. 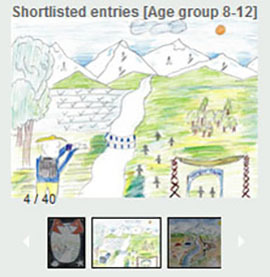 The winner in each age group receives a desktop computer and a year’s Internet access for his or her school. 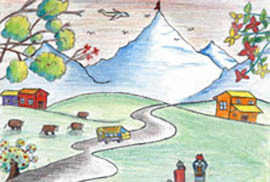 While adding to the school’s existing facilities, the computer and Internet access will also facilitate access to the World Mountain Forum for Sustainable Development (WMF-for-SD) communication platform.